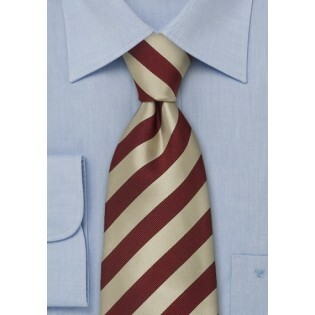 Get a structured and polished look with this timeless striped tie in fantastic shades of burgundy and gold. 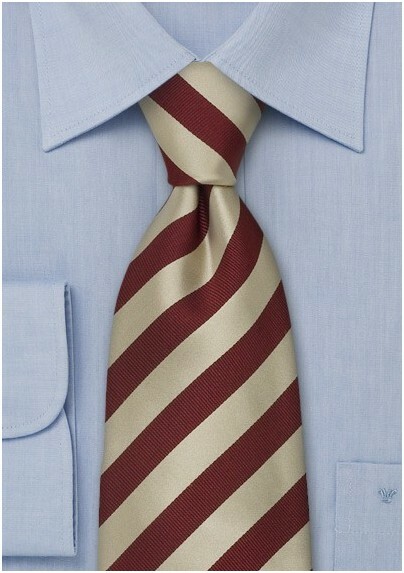 The regal colors work in unison to create an undeniably gorgeous designed tie. Each stripe is handwoven into the pattern using a premium silk and a Jacquard loom. One of our favorite, luxe looks for the season is seeing this tie paired with a crisp white dress shirt, a dark navy blazer and slim fitting khaki pants. Designed by the Parsley Design House.